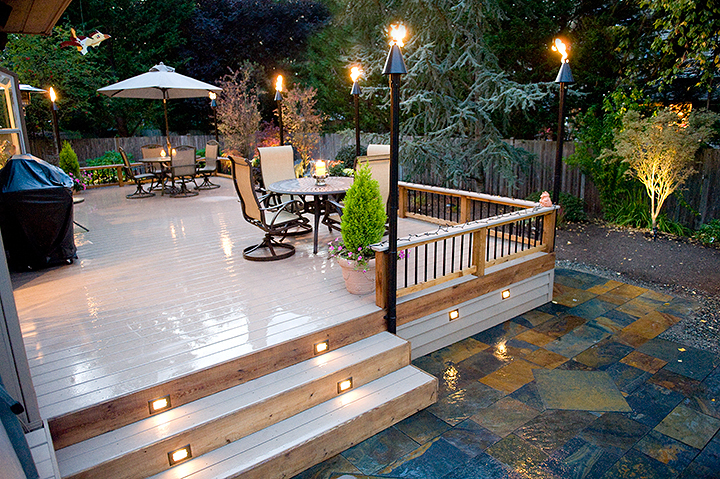 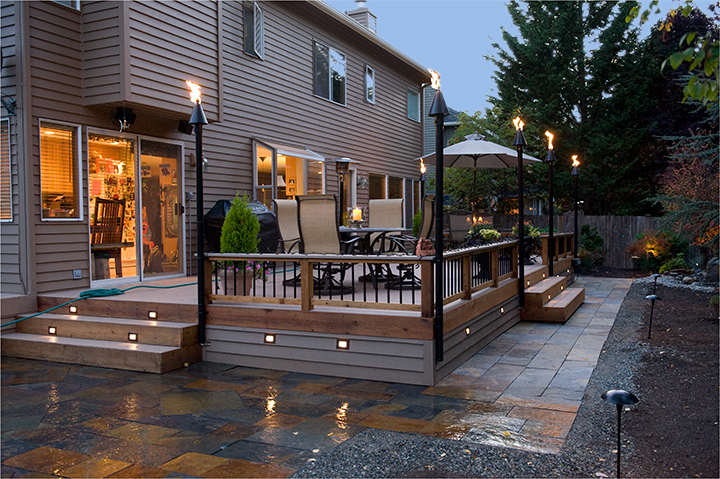 Surround yourself with tiki torch mystique with this well-lit evening-themed deck complex. 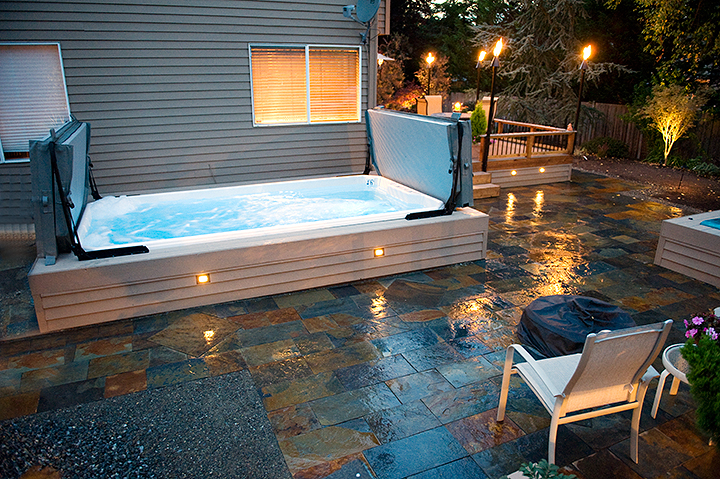 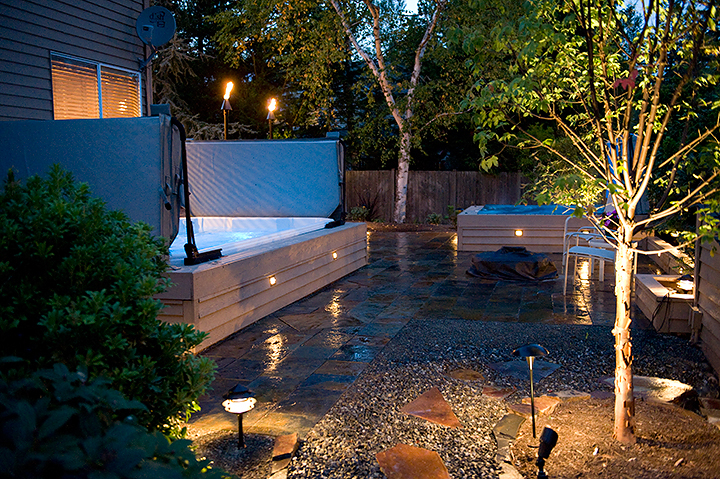 A combination of natural gas tiki torches and built-in lighting makes getting to and from the hot tub and swim spa safe and enjoyable. 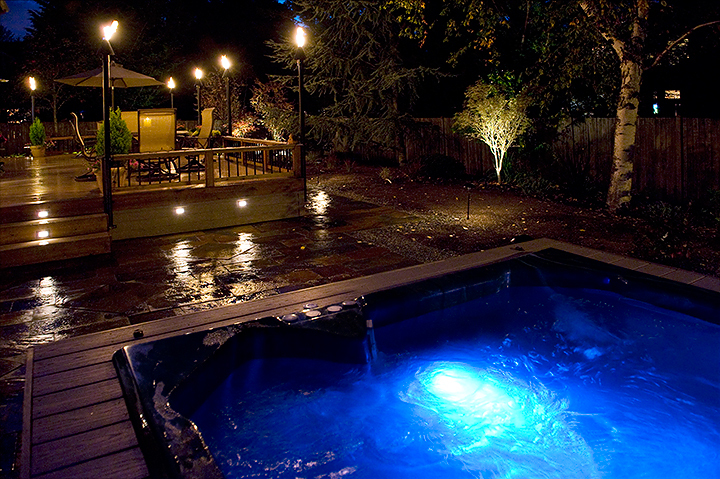 Swim Spa: "Hydro Zone E"